So.. What am I trying to get at? I’m going to be honest here. Sometimes, I feel like I’m not blogging the way I want to. Not of my own accord, I guess you could say. I feel like I’m limiting myself to what I usually do on the blog. I feel like I’m just doing what everyone else is doing. I feel limited by formats, categories, and the features I have. I feel hindered by my own lack of good post ideas and failed attempts at organization and schedules. As of late, I’ve been pondering deeply about the way I blog. I’ve come to the conclusion that blogging should feel like writing in your own personal diary: freeing and liberating. For me, it’s important to blog freely because you’re doing what you want and you are being who you really are, without inhibitions to hold you down. Break away from rules and routine – It’s okay to have them but it’s also okay to detach yourself from them. You don’t have to only post discussions on Thursdays. Hakuna matata – Don’t worry about stats, about having to be interesting or quick-witted with the way you blog. Don’t worry about whether you’re doing a good enough job as a blogger- you are because you’re trying. Different is good – You need not follow what everyone else is doing or whatever the trend is. Change things up and try something new. Run wild and free – Be yourself. Have you ever felt like you’re not blogging the way you want to? Do you blog freely? Why do you think this is important? How do you go about it? Let’s talk! I feel a lot like I’m not blogging the way I want to, too. I also found myself doing what everyone is doing because I think it’s the right thing and I’m afraid that if I would not do what they’re doing, they might criticize me but then I realized, it’s much better if we are our true to ourselves and it’s good to be different. Now I know, there’s some people out there who feels the same way as me. Thanks for posting this Hazel! 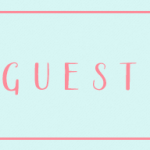 I used to have this notion of following the format of others because of the fact that it is “tried and tested.” Nowadays I just blog if I feel like it and I do whatever the heck I want with my blog. I don’t pressure myself to review all the books all the time. I finally got a grip of my own blogging rhythm and I am happy with it. Hakuna Matata indeed! And just keeping it really simple! This is something I’m going to address in my upcoming Fairytale News. There is something about my blog I want to change, because I want to make it feel even more like ‘me.’ I think it’s important you can do whatever you want, because your blog is your space. Those stats really don’t matter to me, I hardly keep track of it. Sometimes I feel like I’m limiting myself…when I was still a newbie I copied everything my friends did because I had no idea what to do so I just kept the flow. But I learned how to think for myself and now I love my blog even more. I’ve learned that the more you put yourself into your blog the more you’ll love it and the more other people will read it. I have been thinking about it a lot lately too. 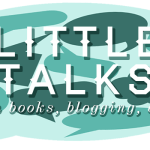 I’ve considered moving to wordpress (I’m on blogger now), and changing my blog name (Anatea’s Bookshelf) to something less limiting. I feel like, even if I did post something else, it wouldn’t fit in with my blog. But since I’m really busy now, I’ll give that idea another thought in a month, and maybe I even do it. Always have the confidence to blog freely; usually it really shows when people are relaxed when writing! I totally understand you, Hazel! Whenever I feel like this, I’m just like ‘what the hey’ and post whatever I want to post. I’ve been really good at posting freely ever since the start of 2014 because I want book blogging to be like my personal bookish diary (lol idk what to call it). I don’t have any schedules anymore…in fact, I changed A LOT ever since I started blogging. I remember my first year of blogging, I was that blogger who went crazy on scheduling posts, making sure they are all formatted the same way, making sure I posted the “right” post on the “right” day. But now, all I care is that I don’t post more than 1 post on the same day and that I post every other day or every other 2 days. Idk, I just like having my posts spread apart. Other than that, I feel waaay better and blogging (for me) has been more fun. Wow, I hope I made sense lol I just woke up. I know exactly what you mean. I blogged myself into a slump earlier this year as I trying too hard to follow a schedule. Now I don’t care and just blog when I’ve something ready. And it feels so much better. I don’t feel under pressure and I’m not even posting less posts but I never feel I have to produce something just because it’s a certain day. I hope going freestyle works just as well for you Hazel. This is definitely a good mindset to have! I really think that sometimes, we put too much pressure on ourselves to follow a certain format or style or “requirements”. You’re absolutely right in thinking that we should learn to blog “freely”, to not let these things hinder us and instead find our own individual style and do what works for us. Cheers to blogging freely! I’ve been struggling with this a lot lately. It hasn’t helped that I’ve been away on holiday this week, and working a lot building up to it. I feel like I haven’t really had a lot of time to dedicate to blogging so I’ve been falling back on the tried and tested techniques, the memes and features that don’t take a lot of thought and thus don’t take a lot of time. I feel like my creativity has suffered for it, and I really need to start blogging freely, in the way you described! Hakuna matata is the best advice ever. 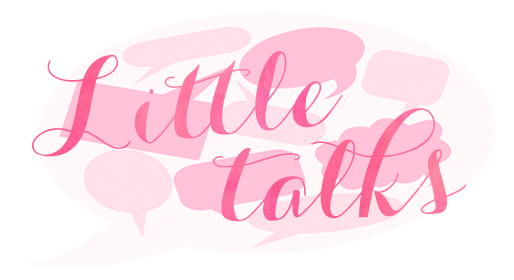 What’s really interesting is that I’m a newbie book blogger (approx. 3 months or so) and I’ve decided to roll without a schedule, and I’m still trying to create my own memes. I feel like I’ve been blogging freely without necessarily meaning to, and I think it’s great (though a tad more organization would do nicely). Meanwhile, I’ve been feeling a lot of outside pressure TO schedule posts, memes, and post more and more. It seems like every other blogger out there does, and always talks about it. Some even go so far as to say that they don’t follow blogs that “don’t post x number of times a week” or something. It feels weird to be pressured like that! And on the other hand, there are so many bloggers like you who find that this hectic, rigid schedule, etc. hasn’t worked for them, and they are trying to de-escalate. So I can’t help but feel like I’m making the right choice by sticking to my way of blogging, and I’m glad that you;re changing to feel better with your blogging, too. Timely post for me. I’ve definitely been moving in this direction over the past few months. 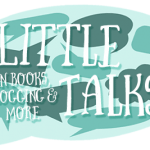 I’ve changed some things on my blog-from my blog title to my features, to reflect more of a personal blog than a book blog. I love books but I also want to blog about other things as well. I’ve lost a few followers since I’ve started making the transition, but I’ve also gained a few new ones too! YES YES YES. For the longest time, I wanted to blog a certain way because everyone else was but blogging on my own terms is just so freeing. I find so much more things to blog about and I don’t feel compelled to blog only about certain things.